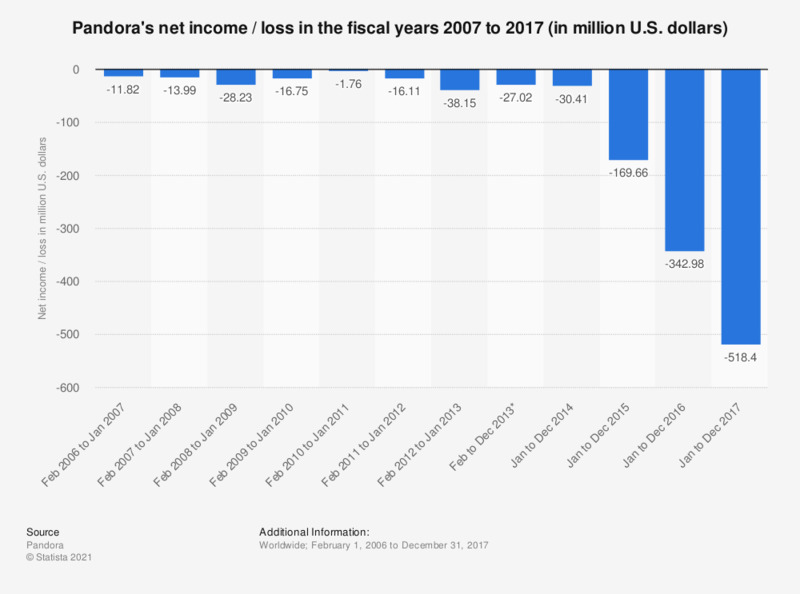 The statistic above shows Pandora's net results in the fiscal periods from February 2006 to December 2017. In fiscal year which ended December 31, 2014, Pandora lost 30.41 million U.S. dollars. Here you can find Pandora's quarterly net results.